Wine is an impression of viticulture and vinification, where soil, grapes and know how in winemaking plays a key role. 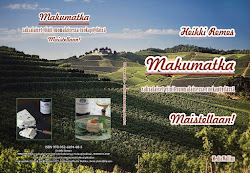 During the last years new, young wine makers generation have highligted a new trend of making wine. Signature (Author) wines unleashes winemakers from the limitations of traditional classifications. This emphasizes innovativeness and gives room to traditional winemaking or new technologies. Bodegas Solar de Urbezo has an holistic touch to their wines. One can find traditional and novelty hints with their wines and history of arts with their wine labels and in the avant-garde design of their new building ”El Torreon” in the winery. Urbezo wines comes through the hands of five generations of winemakers, who have cultivated vineyards in Carinena, region of Aragon, 45 km from Zaragoza. The vines are groving in extreme climate and scarce soil, that produces tight, aromatic, high-class grapes rich in nuances. Urbezo garnacha reveals the essence of terroir and grape. 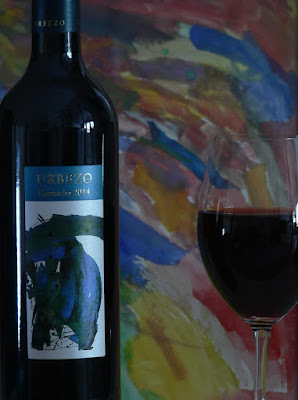 Urbezo Garnacha 2014 get its grapes from old vines mainly over 50 years. Grapes are handpicked and manually selected. When processed grapes go through cold maceration and temperature controlled fermentation. When matured wines gets only slight toasty and vanilla aromas during three months they spend in French oak barrels, gaining so a roble touch. Wine is red with purple highlights, aromas of red fruits and full bodied, quality tannins, good accidity and toasted taste.